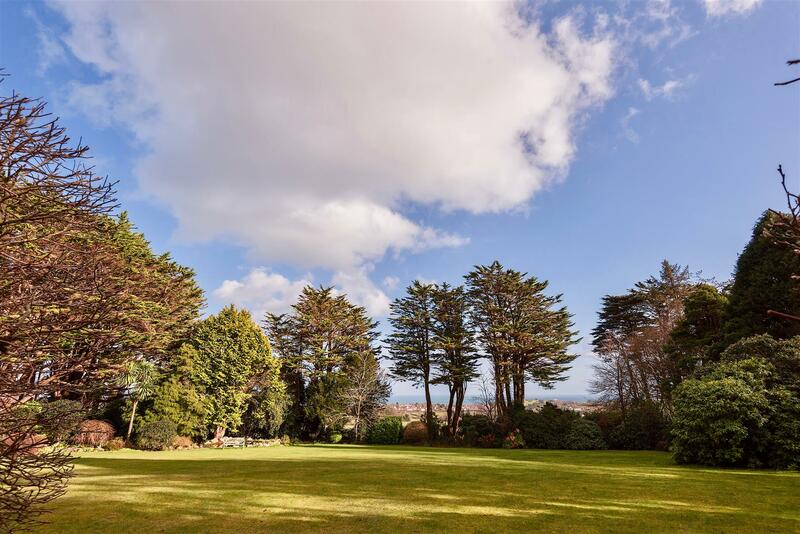 Please click on the "Video Tour" tab to watch a short video showing this beautiful property, its amazing gardens and grounds, the views and also the area and lifestyle that surrounds it. 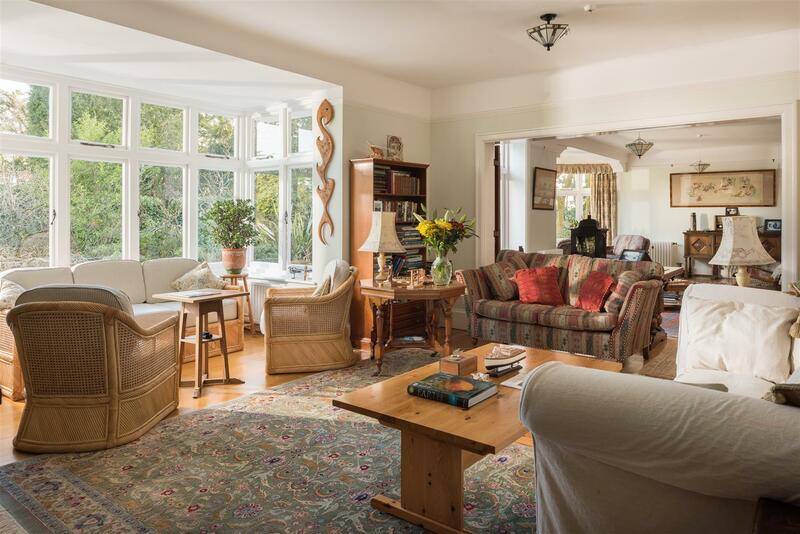 Aspirational Living at its best! 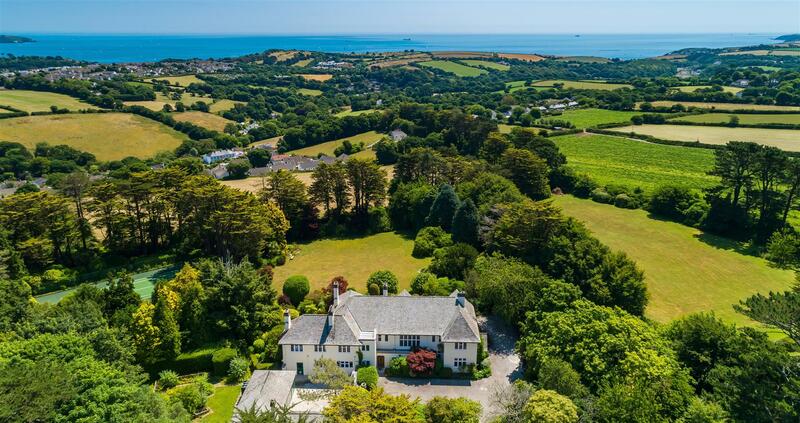 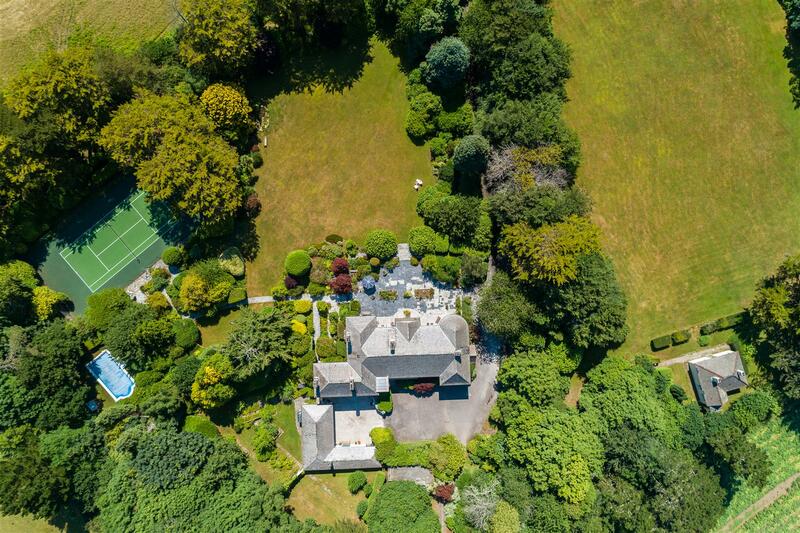 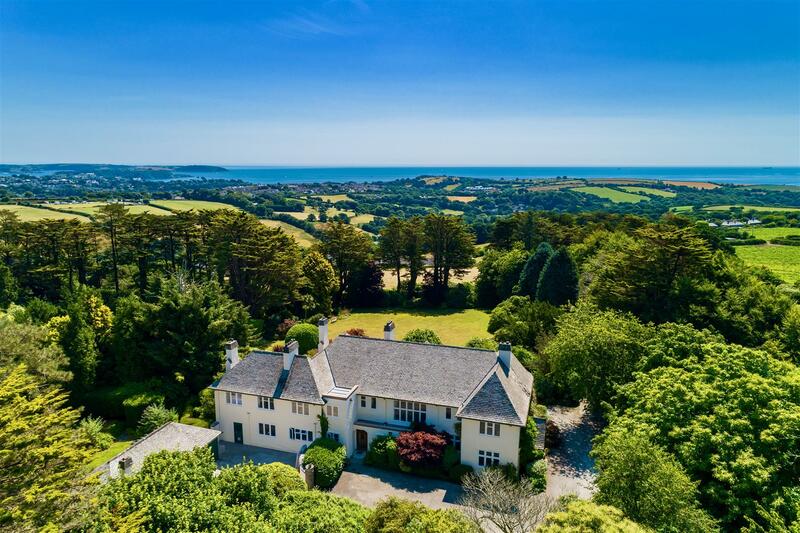 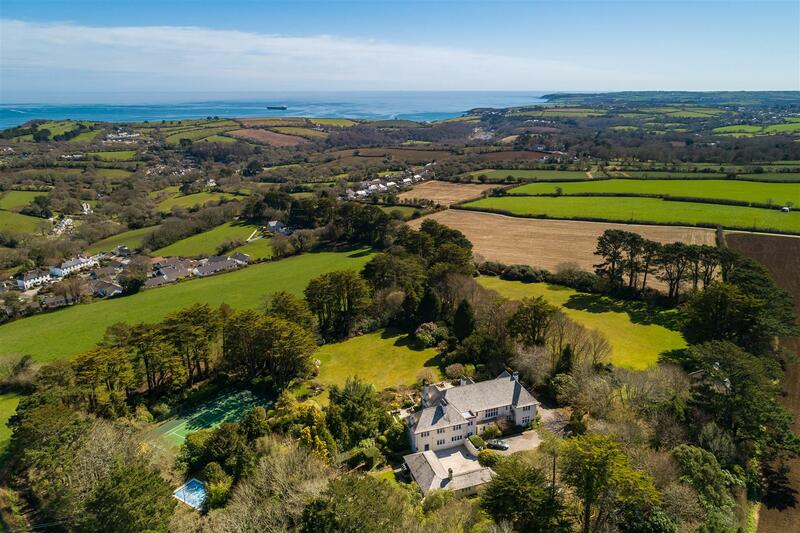 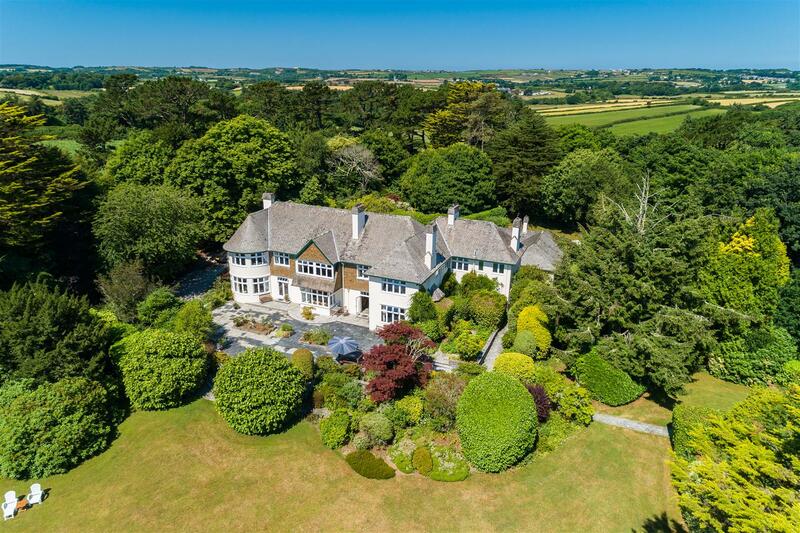 This spectacular & luxuriously appointed exceptionally private coastal property has it all: coastal location, fabulous views, privacy, beautiful gardens, substantial grounds, Lodge House, planning for further substantial house, tranquility, swimming pool, tennis court & excellent access to lifestyle! 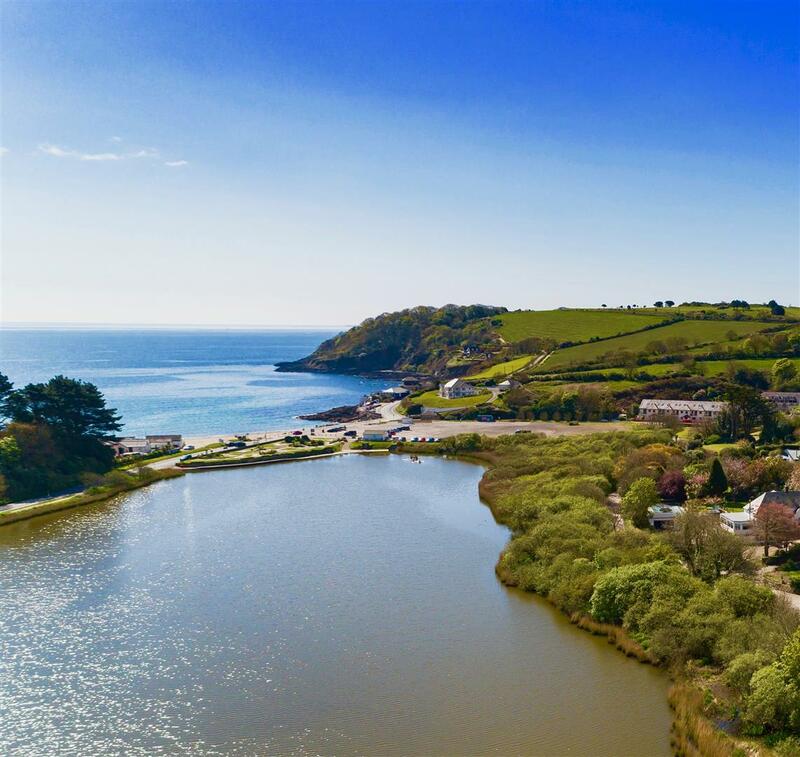 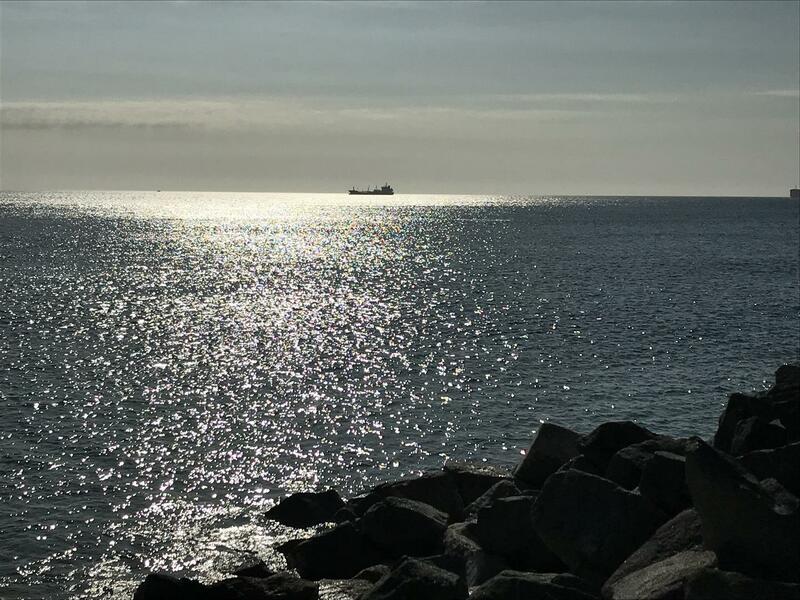 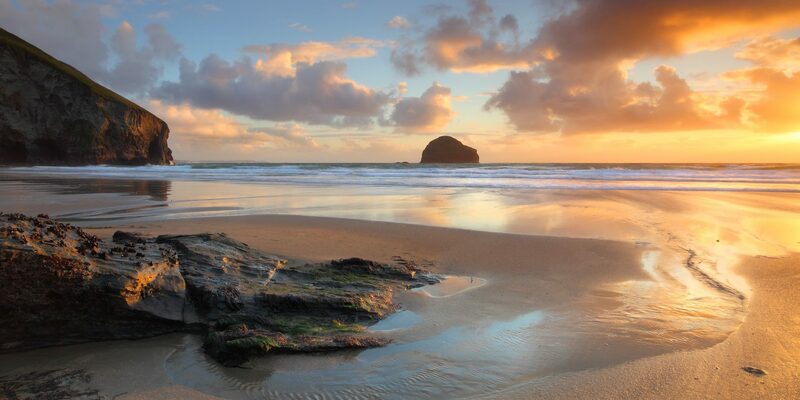 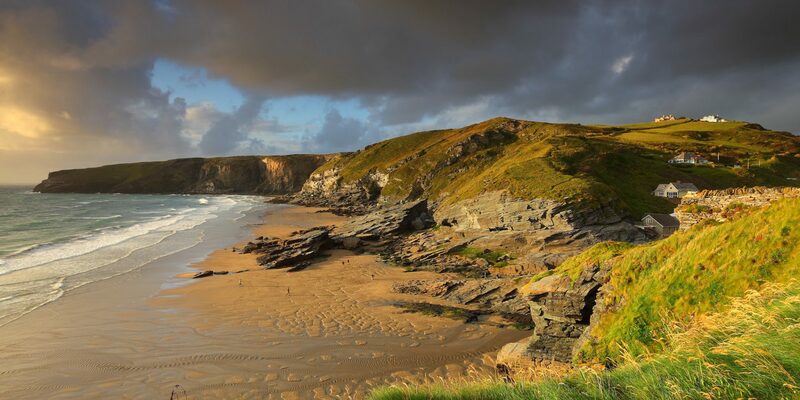 The stunning beaches of Swanpool and Maenporth are just a short drive away, providing excellent family friendly sandy beaches and each being great for swimming or paddle boarding alike. 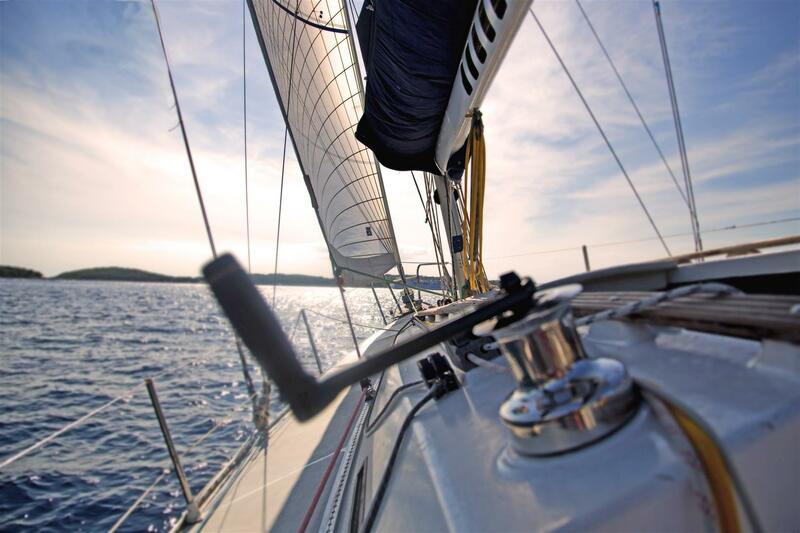 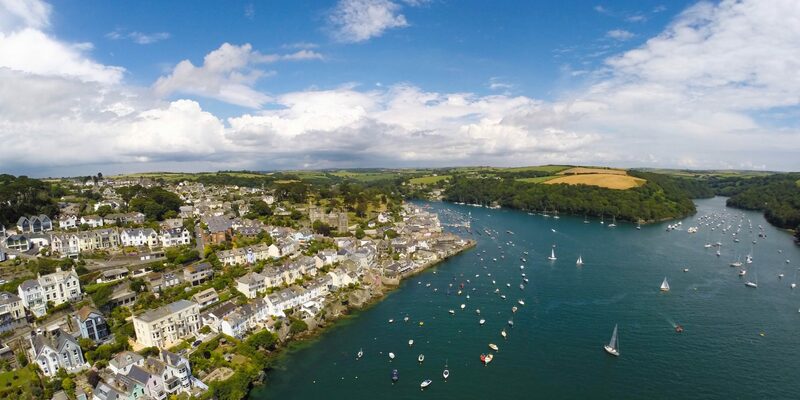 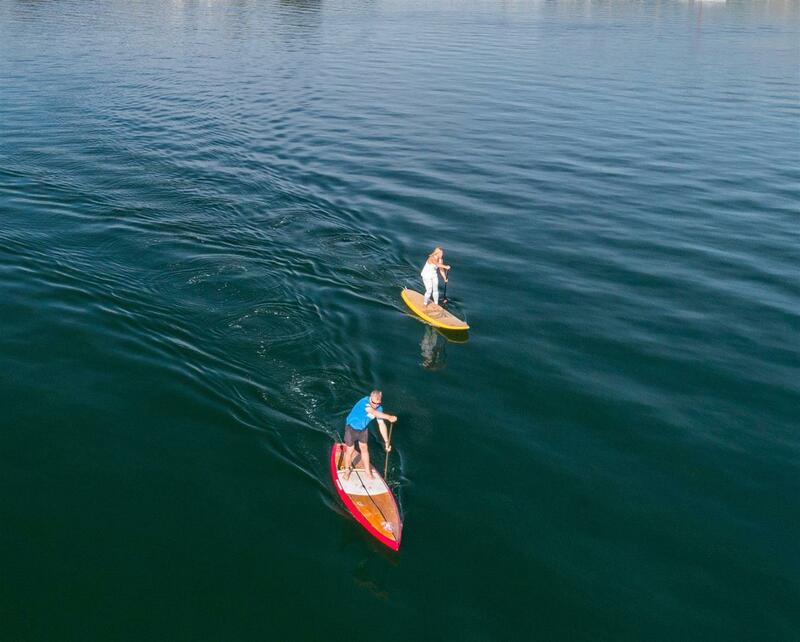 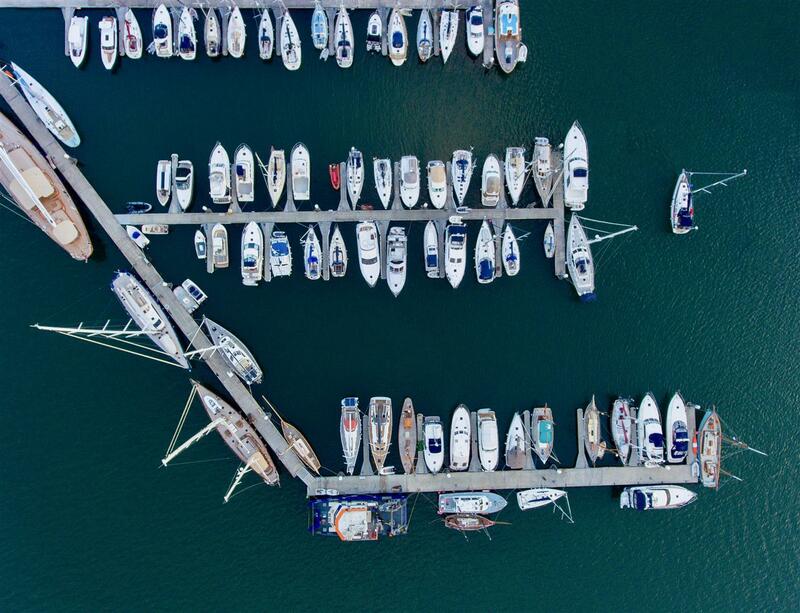 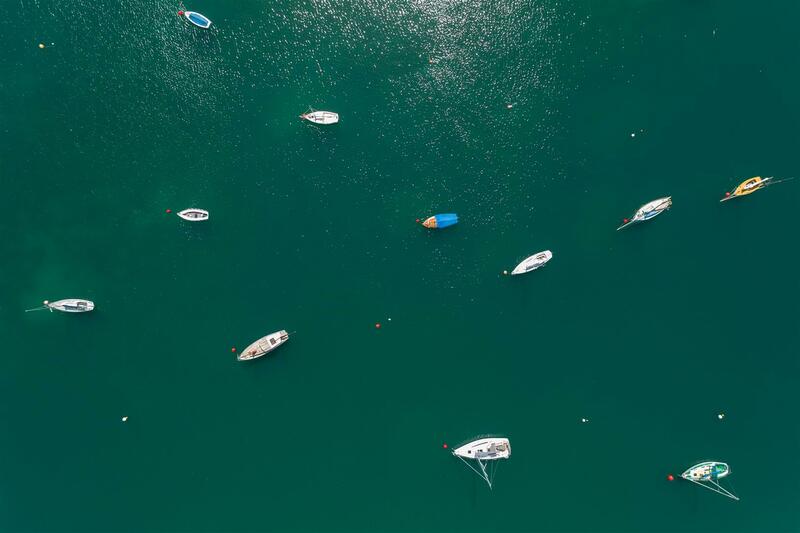 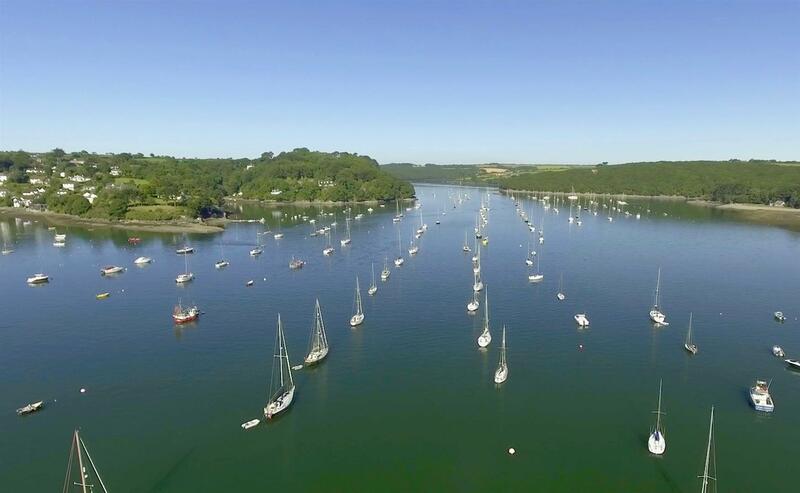 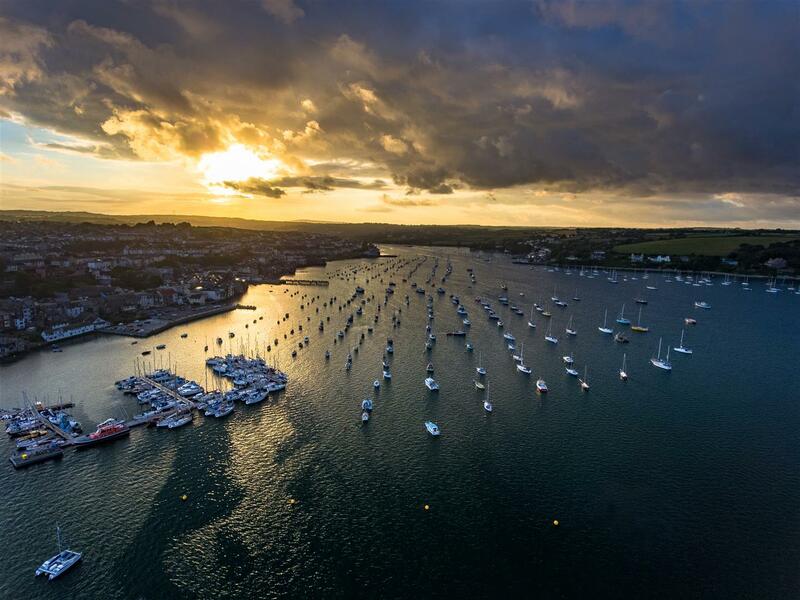 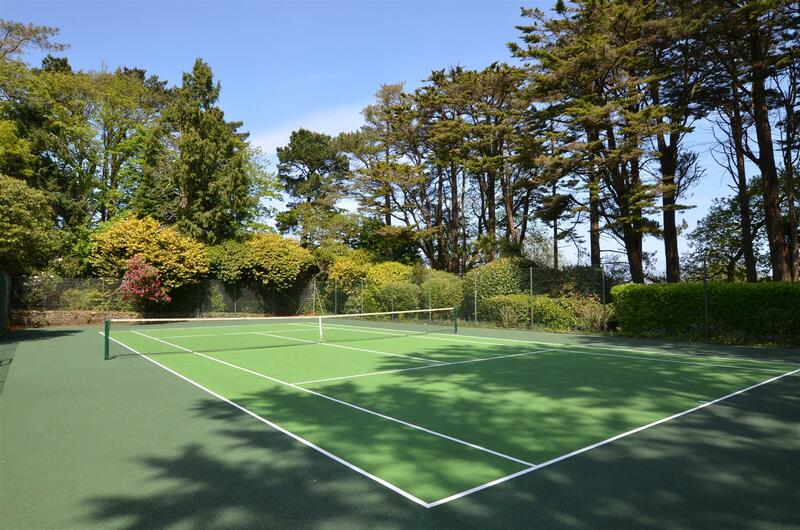 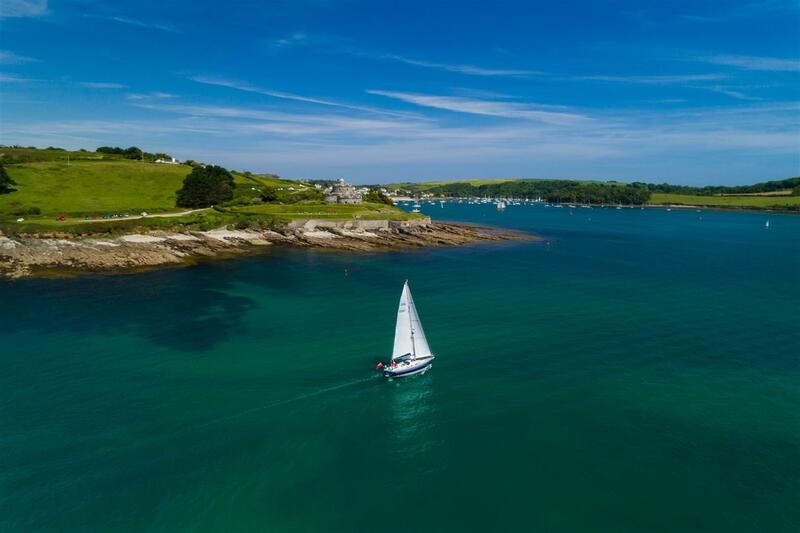 The area in general offers many opportunities for the water sports enthusiasts as well as sailing due to the many world class facilities that are on offer between Falmouth Bay and the nearby Helford River, which are all within very easy reach of Budock Water. 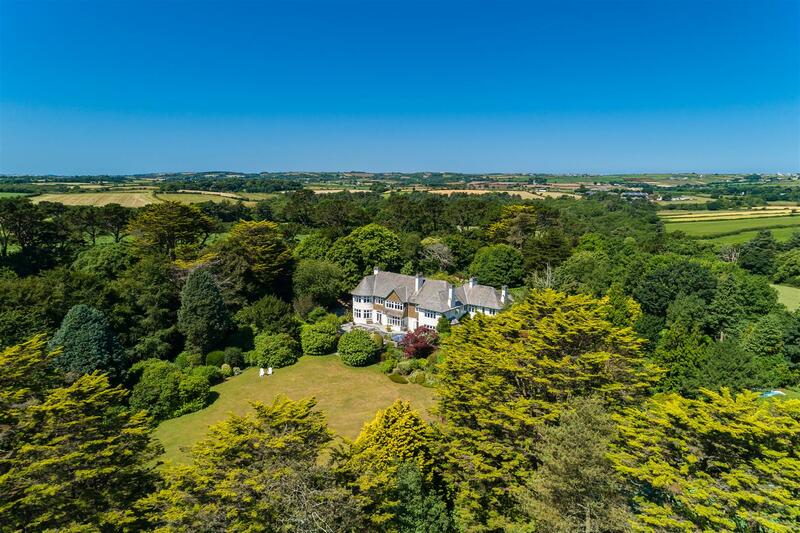 The house is set high above Budock Water village, protected by its 8 acres of gardens and grounds that are also surrounded by farmland that is covenanted in the favour of the property, ensuring continuous protection of its tranquility and boundaries. 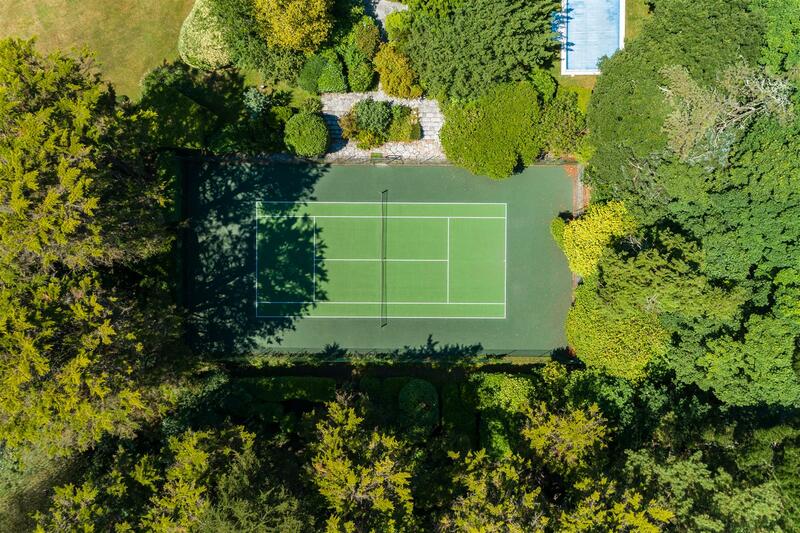 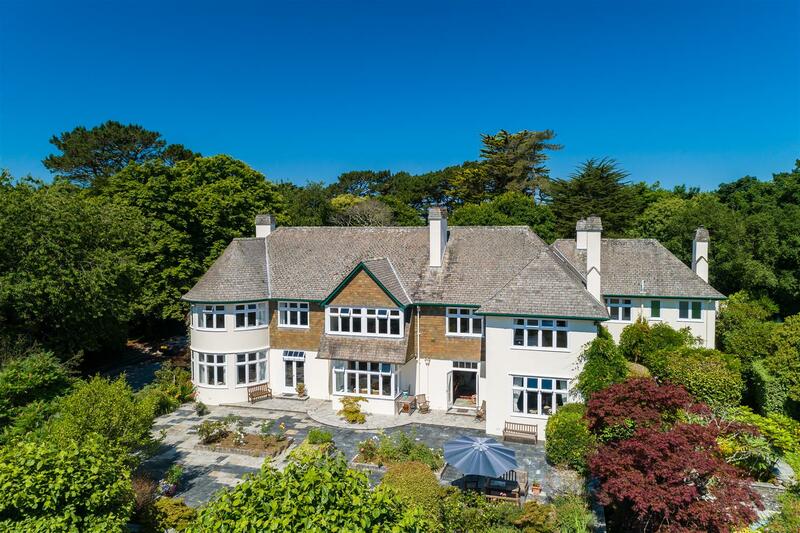 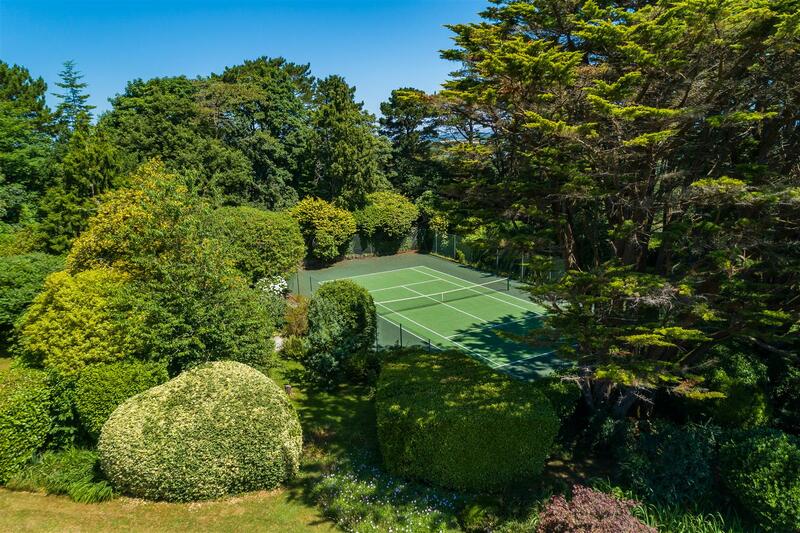 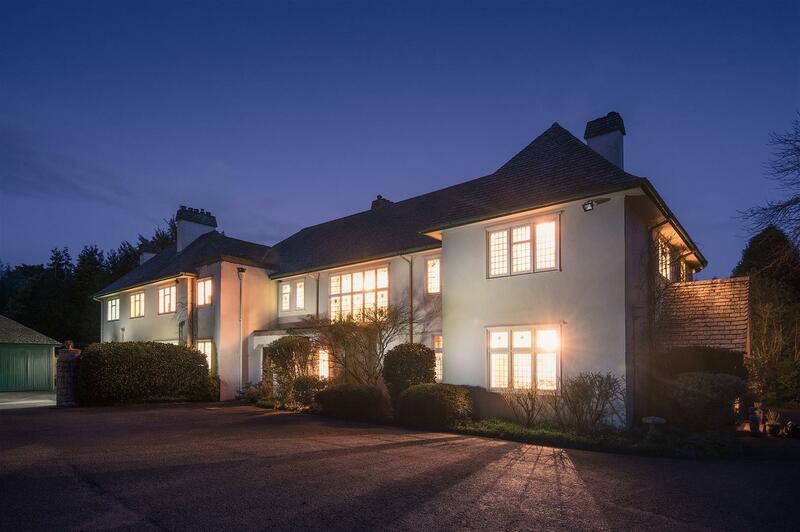 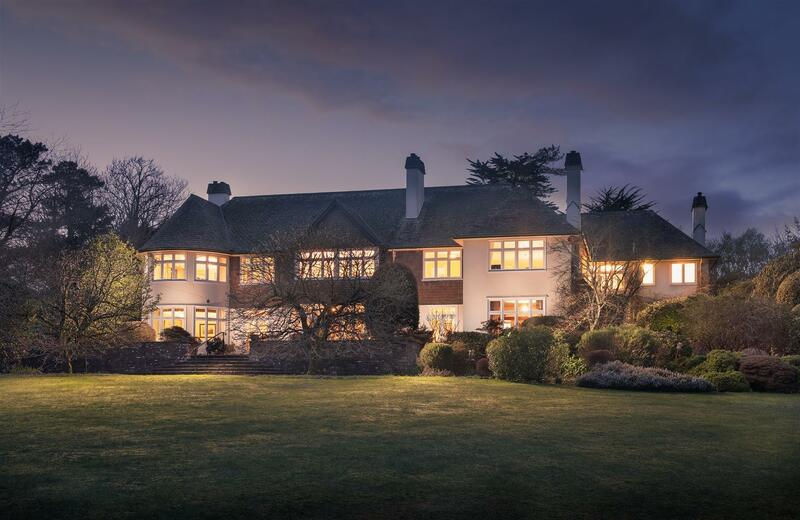 The approach is over a long and inviting private tree lined driveway that is flanked with sumptuous camellias and rhododendrons, setting the scene and helping to create a sense of how incredibly private the location of the property really is. 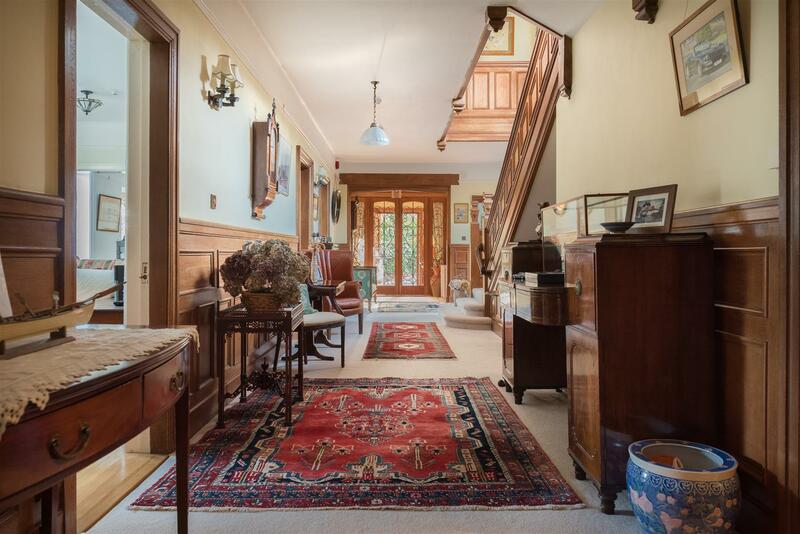 The house only reveals itself as you approach and pass the western end as it leads to the main parking and garaging that are within the fabulous large rear walled courtyard. 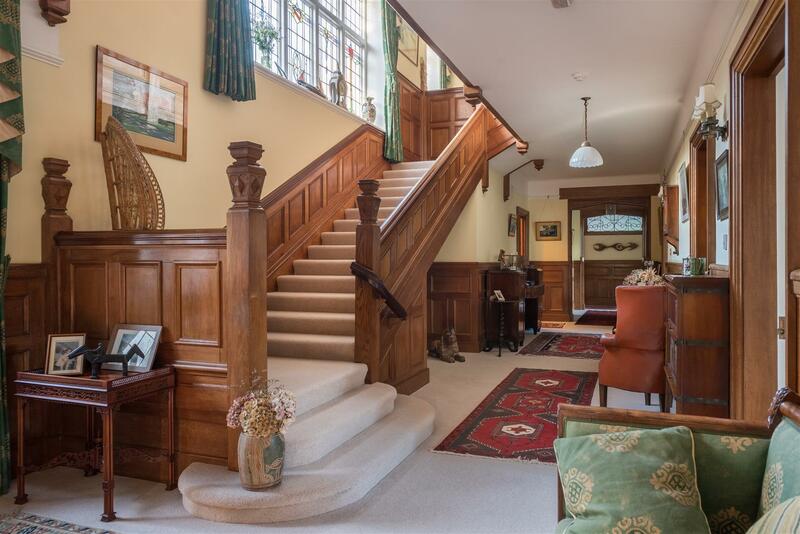 A gabled entrance builds the anticipation and then leads through glazed double doors in to a magnificent broad hallway with the grand staircase being its feature and the high ceilings combining to create the most amazing first impression and introduce you to the sense of scale of the numerous beautiful rooms within the property. 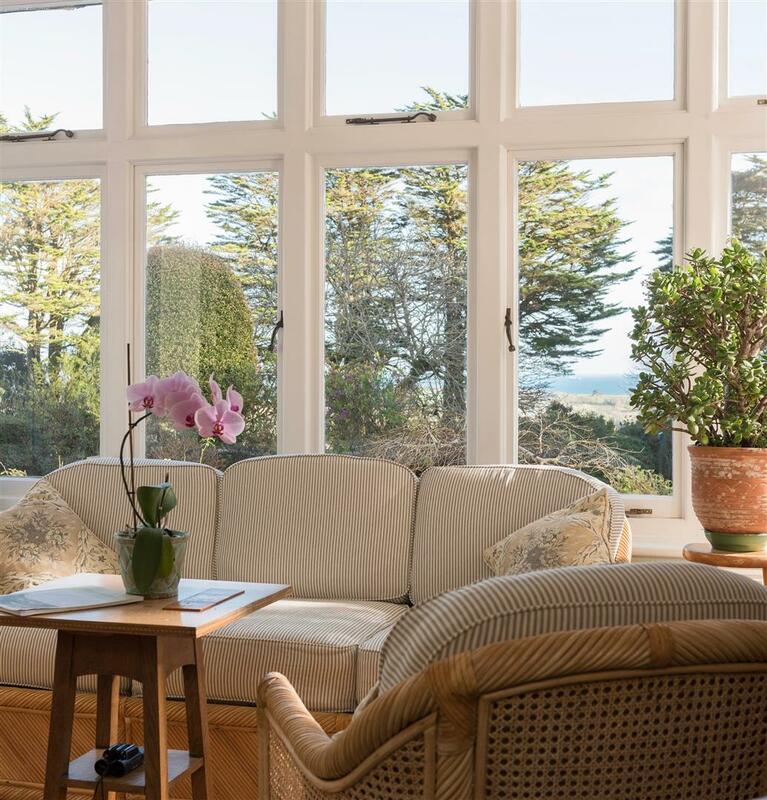 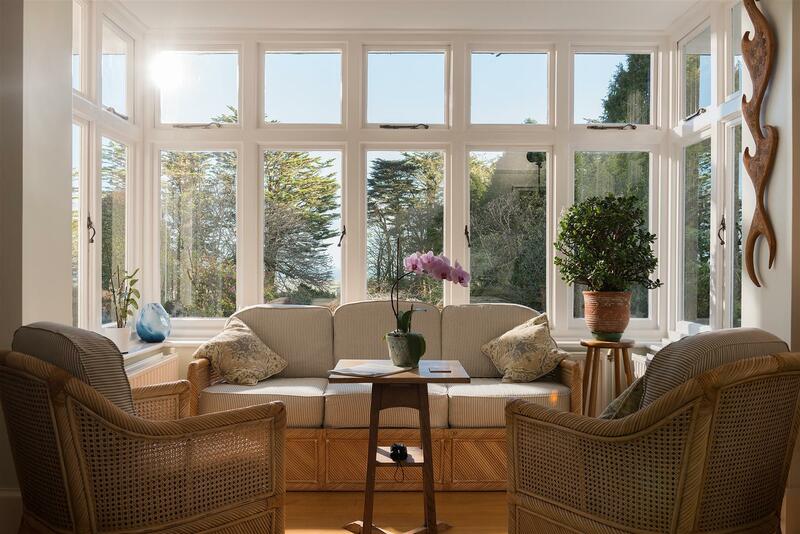 Each of the four principal reception rooms are positioned on the south side, taking in the best of the delightful coastal views over Falmouth Bay and beyond, as well as immediate aspects out across the lovely southerly gardens. 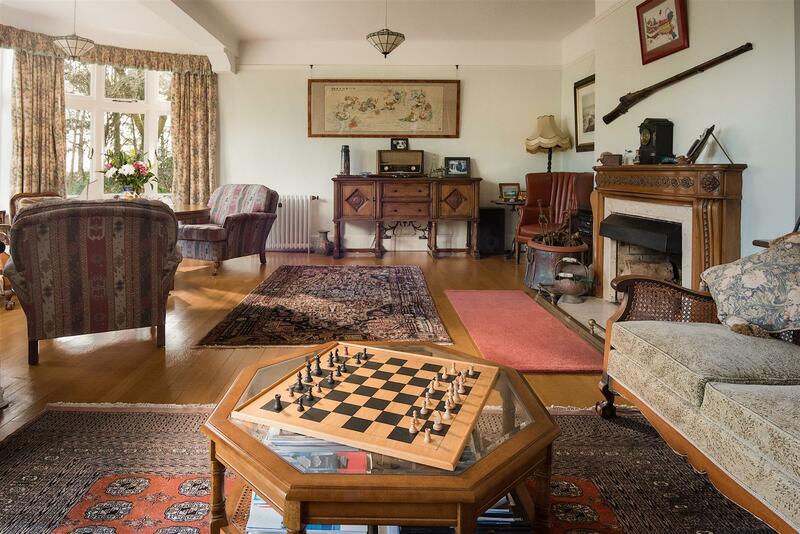 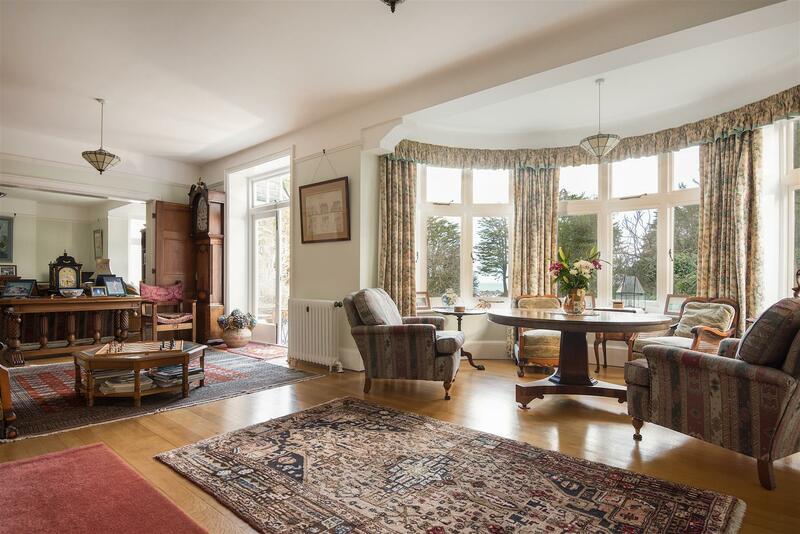 The Drawing Room, with its feature bay window, and the Sitting Room are back-to-back, separated by large concertina doors that open back to create a magnificent double reception that is in excess of 45”, ideal for occasions of socialising and entertaining. 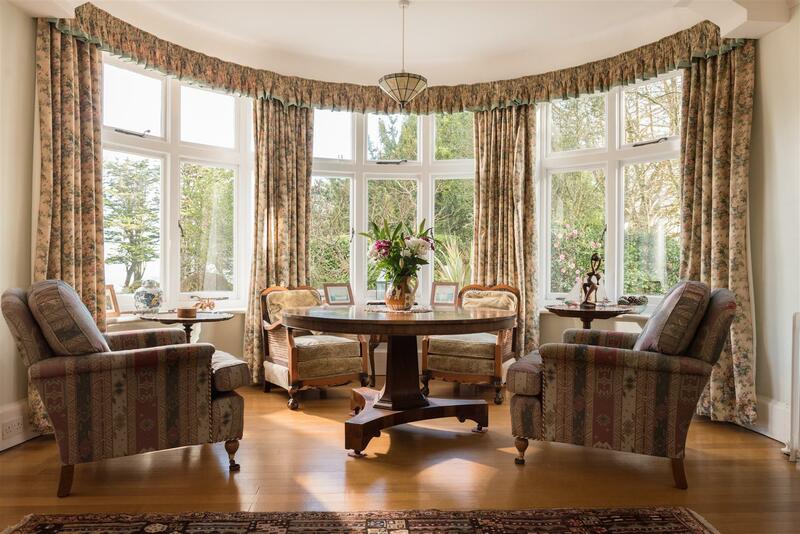 The Garden Room is a much cosier room but with double doors that open on to the southerly terrace. 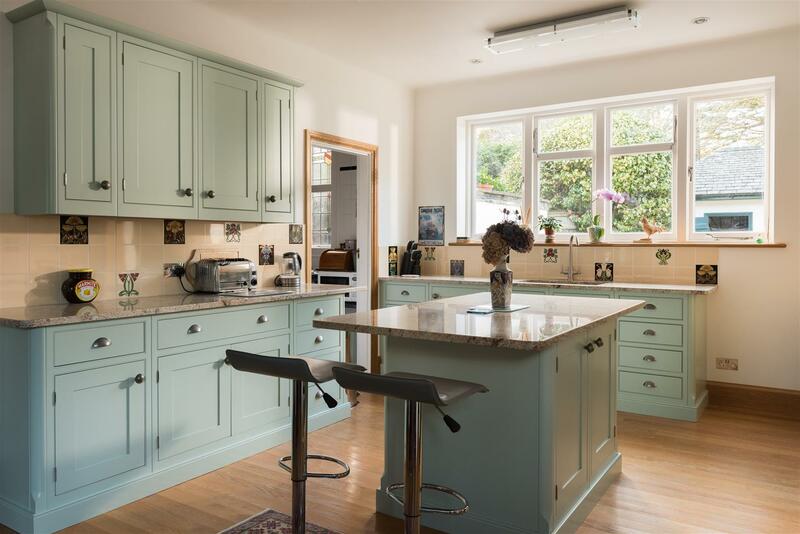 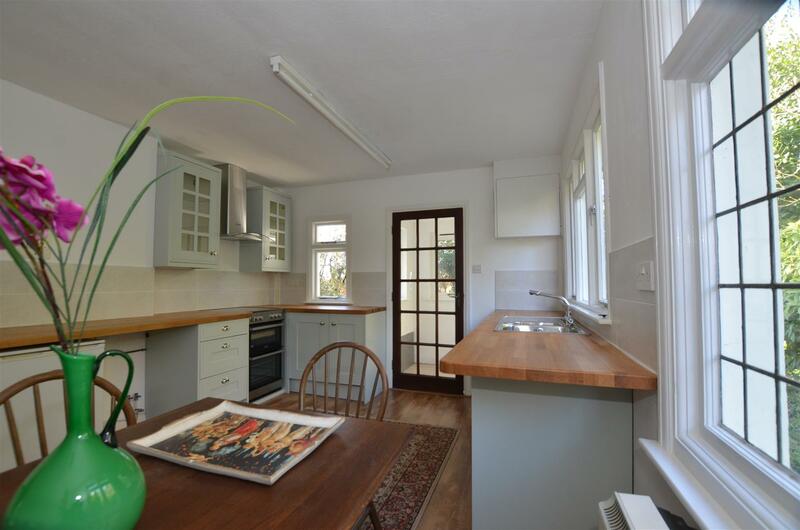 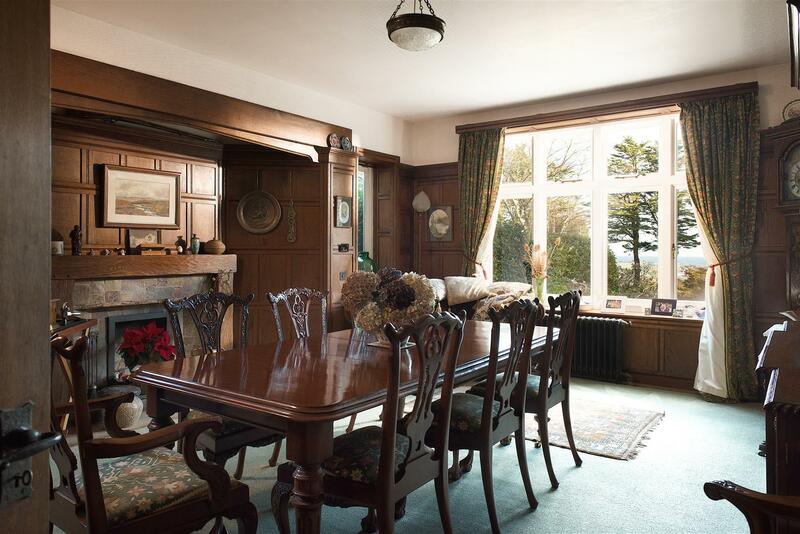 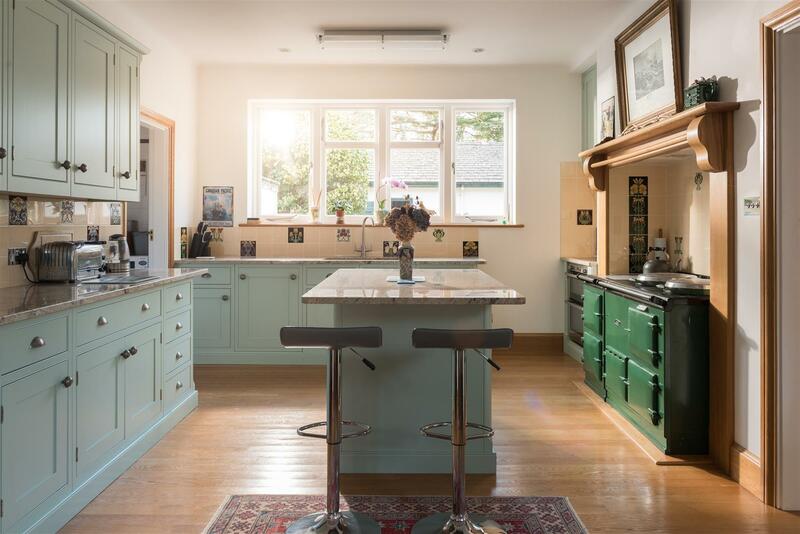 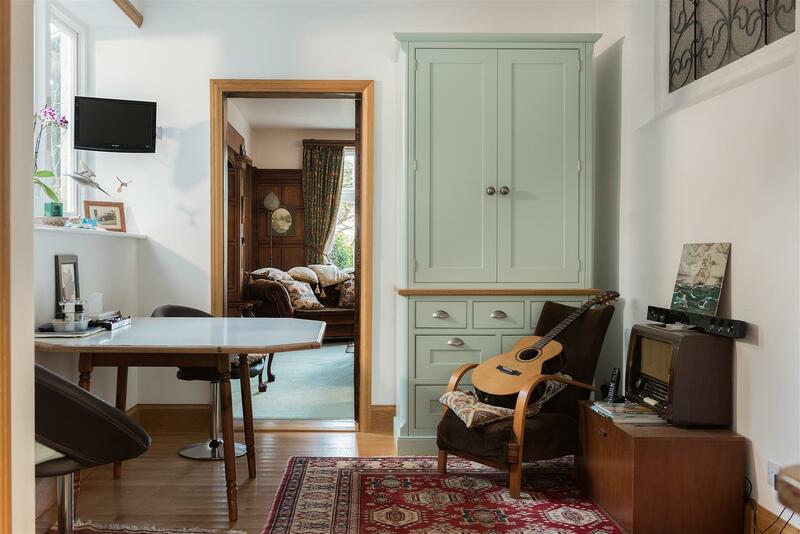 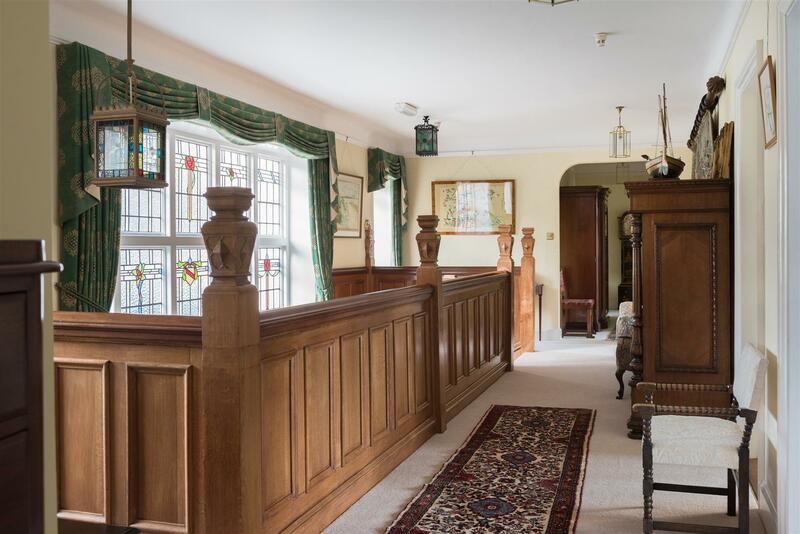 The large Dining Room features some incredible oak panelling and a delightful fireplace and opens in to the adjacent recently re-fitted kitchen-breakfast room that has an Aga, large walk-in pantry and an adjoining utility room. 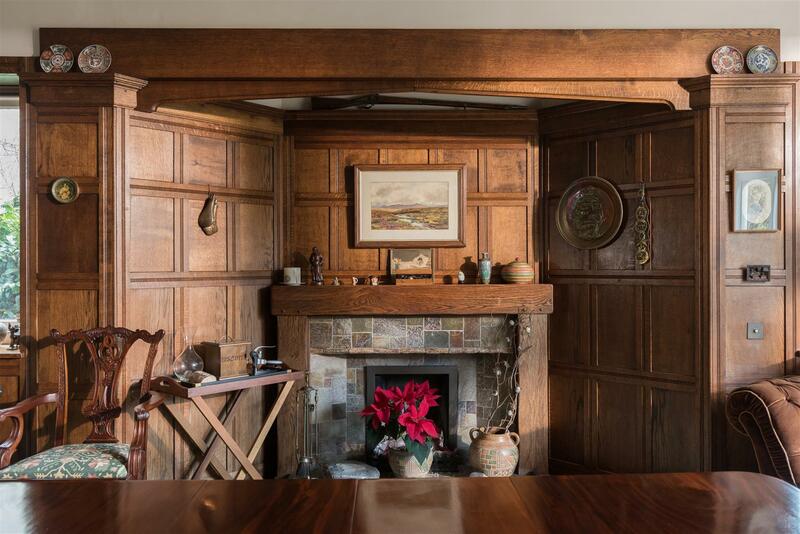 The quality of the construction of this fine Arts & Crafts building is truly exceptional and the level of detailing that still exists throughout it today is both incredibly rare. 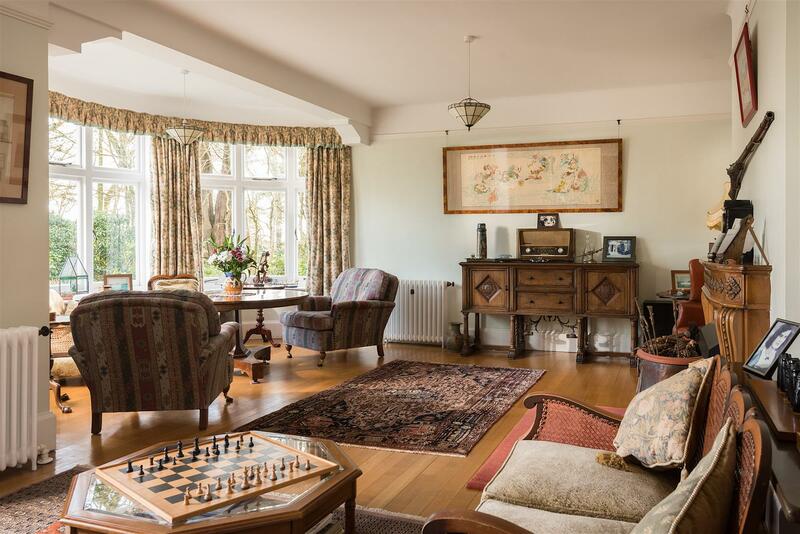 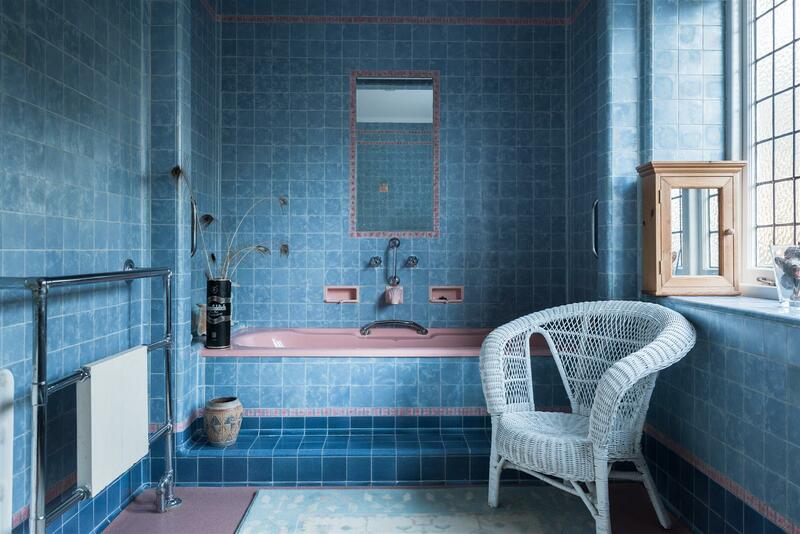 The tranquility of the house given its proximity to the town and all its facilities, is exceptional if not unique. 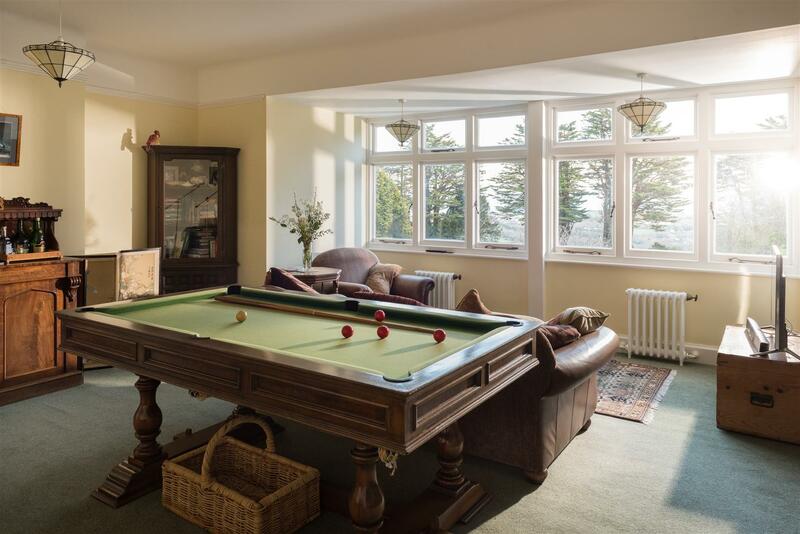 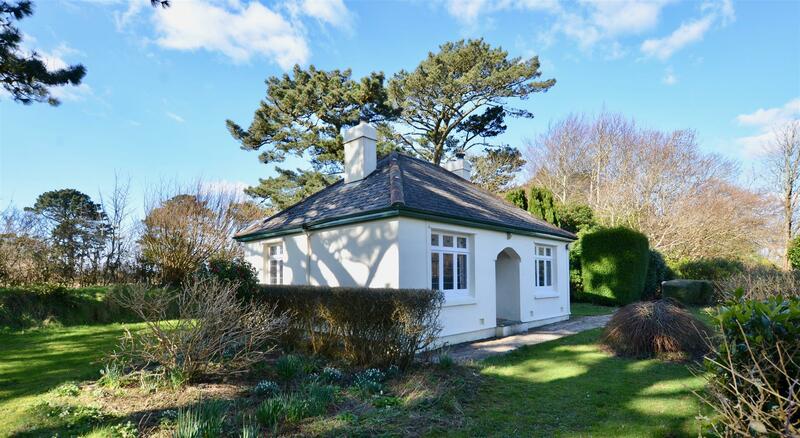 The property also benefits from a Lodge House that provides secondary accommodation of two bedrooms, a reception room, kitchen and bathroom. 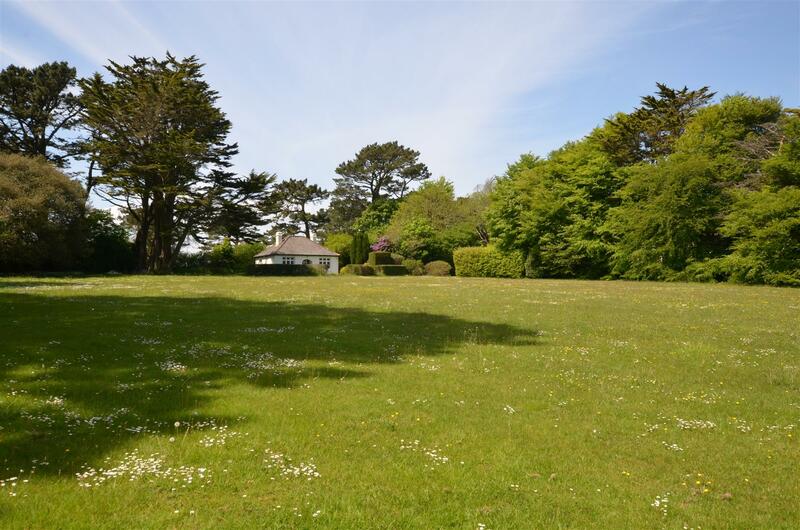 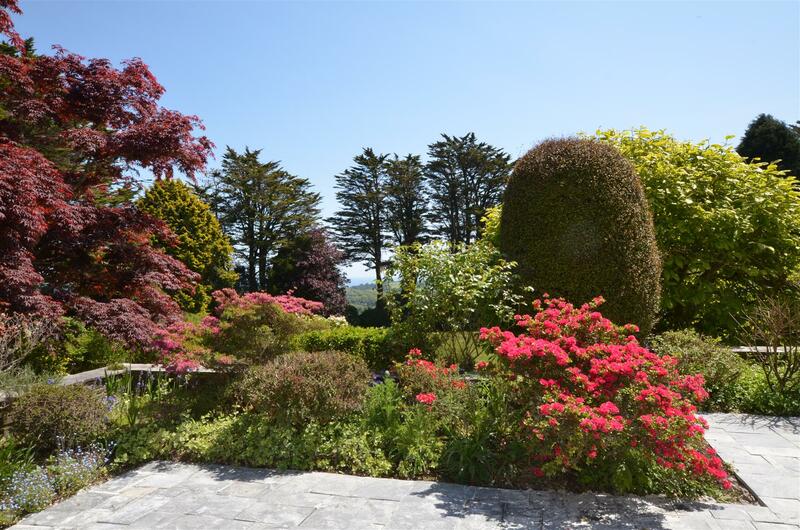 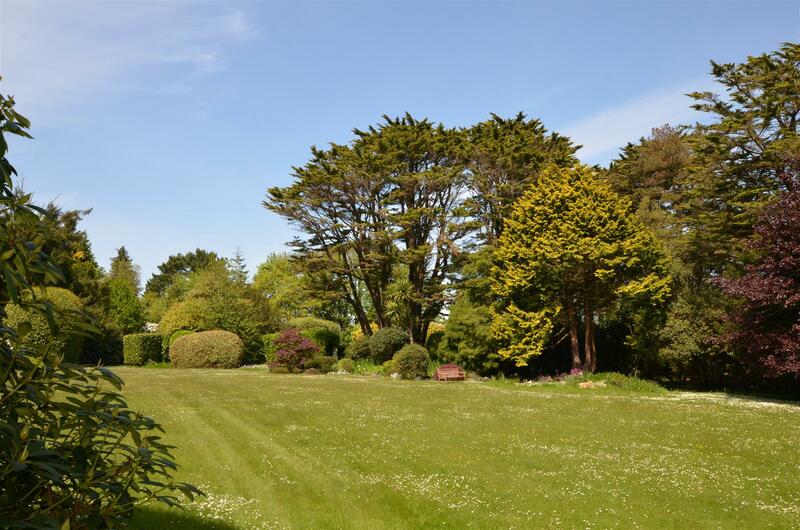 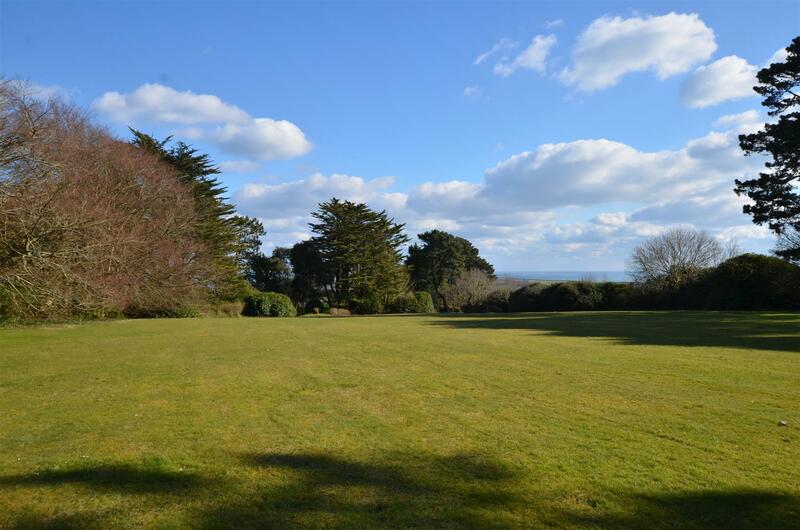 On the southerly side of the Lodge House is a large area of lawned gardens where there is planning permission for a large new house to be constructed. 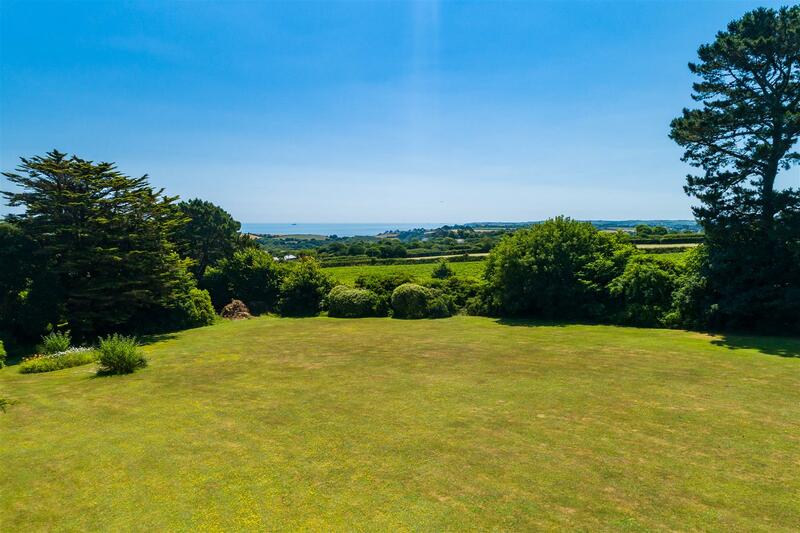 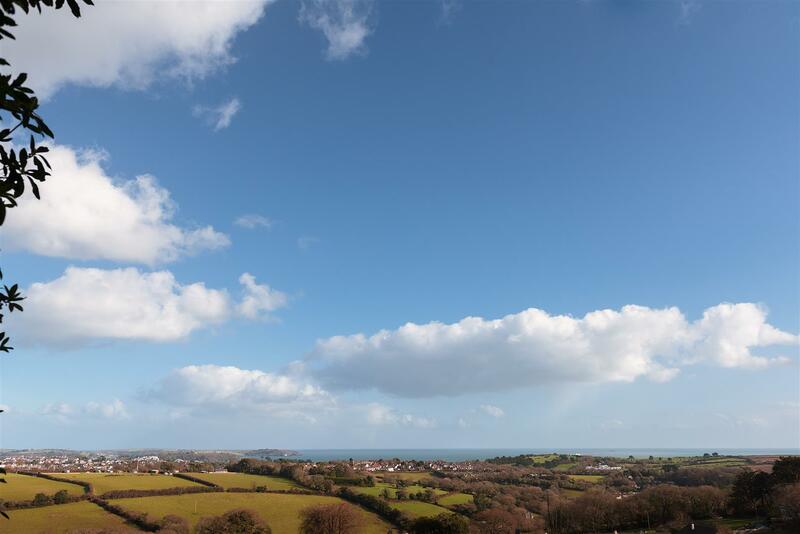 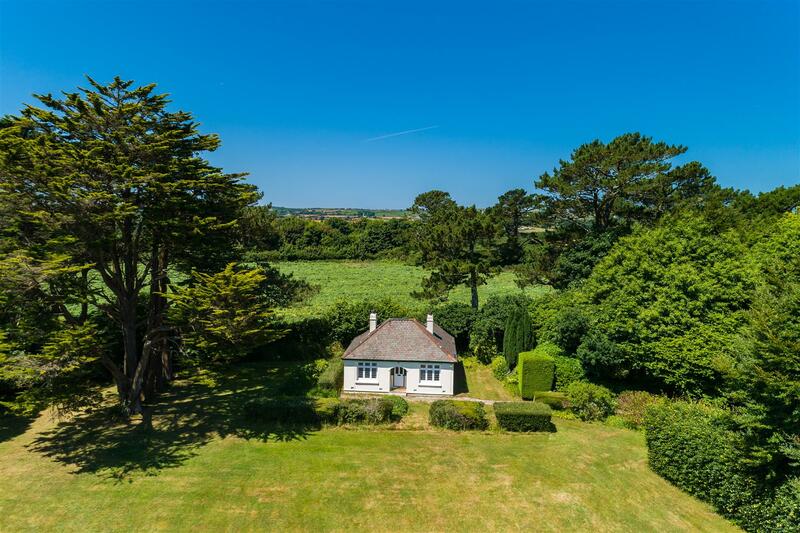 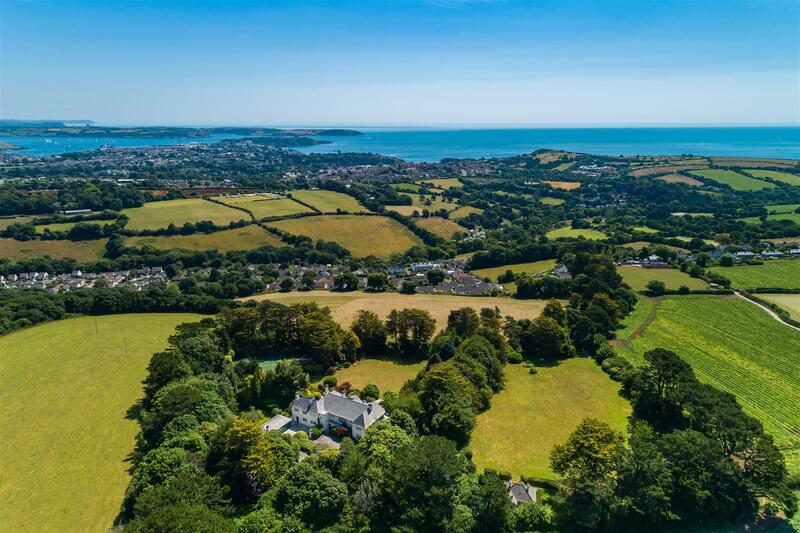 This would also have exceptional views of the neighbouring farmland and coastal views towards Falmouth Bay.